It all started in 1911. Ten came together to form an organization that would be about Achievement of the highest order. Click to read a brief history of Kappa Alpha Psi. A decade by decade pictorial of the men initiated into the Delta Zeta Chapter. 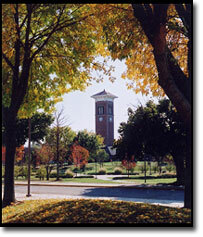 Located in Wilberforce, Ohio, Central State University is one of the nation's oldest and most presitigious HBCUs. Welcome to www.dzbantu.com, the official website of the Delta Zeta Chapter of Kappa Alpha Psi Fraternity, Inc. Our web page contains a wealth of historical information about our Grand Fraternity and its rich history, plus our beloved Delta Zeta Chapter as well as our college, Central State University. Delta Zeta chapter is the 100th undergraduate chapter of Kappa Alpha Psi and is part of the East Central Province. From a dream to a reality. The journey began in the year 1911, when 10 astute men from various backgrounds had a vision to improve the lives of black students on the campus of Indiana University. The Delta Zeta Alumni Foundation is preparing today's young minds for tomorrow.